The Lancaster Amateur Radio Club has a unique partnership with the historic Dunkirk Lighthouse, which is still in active Coast Guard use today. The lighthouse, commissioned in 1826, has been a beacon on the shore of Lake Erie for almost 200 years and has been safely guiding mariners for that period of time. The Lancaster Amateur Radio Club provides communications and special event stations for special events sponsored by the Lighthouse. 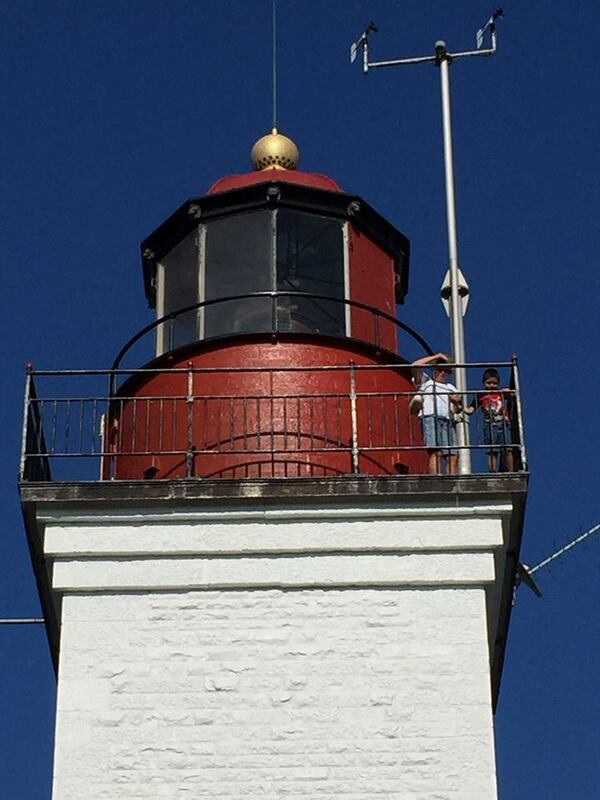 Every year in third full weekend of August, the club spends the weekend camping at the Dunkirk Lighthouse during the annual International Lighthouse/Lightship Weekend , when HAM RADIO operators worldwide activate lighthouses with special event stations. Many members consider our annual weekend at the lighthouse to be the best club activity of the year.